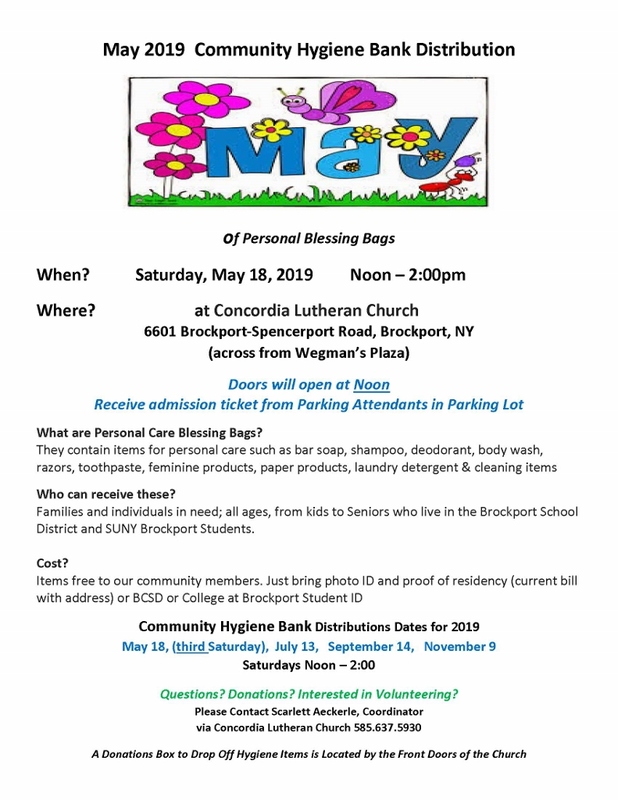 The Hygiene Bank Outreach Ministry will have its March distribution to the Brockport community on Saturday, May 18 from 12:00pm (noon) - 2:00pm. 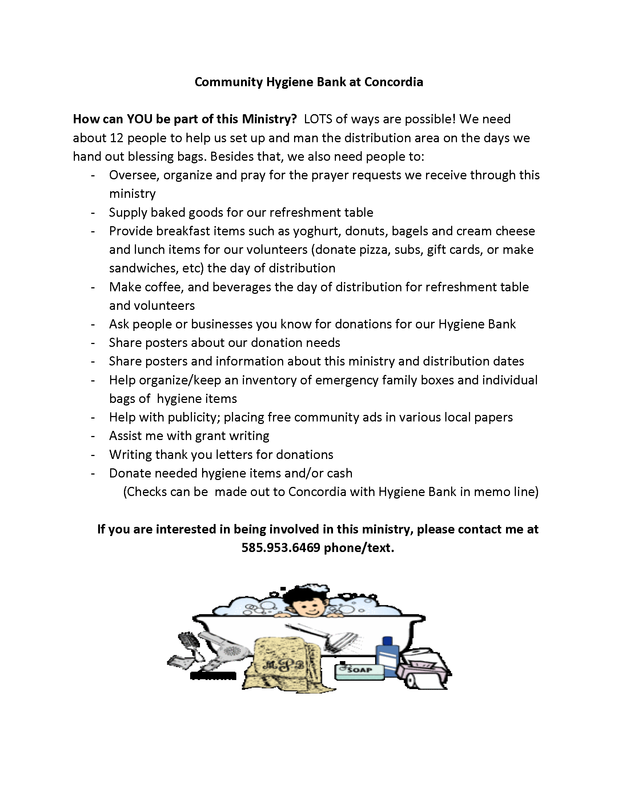 Distribution will occur at Concordia Lutheran Church. It is available to those who are residents within the Brockport School District and are in need of hygiene items. Click here for How can YOU be part of this Ministry? Volunteers will be needed to help set up the room and products for distribution. If interested please contact the Hygiene Bank Coordinator, Scarlett Aeckerle by email at: scarlett.aeckerle@gmail.com or by phone at: 585.953.0674.